Presenting, Kushal Serene - an address that is an oasis of calm, peace and magnificence in the hustle-bustle of the city, Hyderabad. Your home will now serve as a perfect getaway after a tiring day at work, as Kushal Serene ambiance will make you forget that you are in the heart of the city, Kompally. Kushal Serene comprises of 3 BHK Villas in Hyderabad. Kushal Serene brings a lifestyle that befits Royalty with the batch of magnificent Villas at Kompally. These Residential Villas in Hyderabad offers limited edition luxury boutique houses that amazingly escapes the noise of the city center. Kushal Serene is built by a renowned name in construction business, Kushal Landmarks at Kompally, Hyderabad. The floor plan of Kushal Serene presents the most exciting and dynamic floor plans designed for a lavish lifestyle. The master plan of Kushal Serene offers people a strong connection to their surroundings, promoting a sense of community whilst balancing this with a distinct private address for individual homeowners. Amenities: Out of the many world class facilities, the major amenities in Kushal Serene includes Landscaped Garden, Play Area, Gated community, 24Hr Backup Electricity and Security. Location Advantage: There are number of benefits of living in Villas with a good locality. The location of Kushal Serene makes sure that the home-seekers are choosing the right Villas for themselves. It is one of the most prestigious address of Hyderabad with many facilities and utilities nearby Kompally. Address: The complete address of Kushal Serene is Near kompally flyover, Kompally, Hyderabad, Telangana, INDIA..
Kushal Bulders have track record with landmark Buildings.which do not need much introduction to them.Established in 1978, Kushal Builders are responsible for pioneering efforts in construction in city centres in Hyderabad.All their buildings appereciated high value.the present ventures has the advantage of builders experience Pioneering efforts and quality Construction. Kushal Constructions is an GOOD builder. It has 2 on-going projects with total inventory value of Rs.206 Cr and 2 completed Projects. vitrified tiles flooring in living, dining, bedrooms kitchen and passage, marbles for staircases, toilets are with anti-skid ceramic tiles. concealed plumbing with super quality of CD and sanitary wares dado in ceramic tiles up to door height. ISI brand standard wires / cables with branded switches at suitable points. smooth finish for walls with altec or equivalent, except for toilet / kitchen area. cement paint or equivalent to give a smooth overall feel to the villa. cement blocks or equivalent will be used from the entrance of the villas to the porch blending with the internal landscape. Ask from 2 other people who enquired about Kushal Serene. Review of Kushal Serene, Kompally? Its price, location, builder etc. 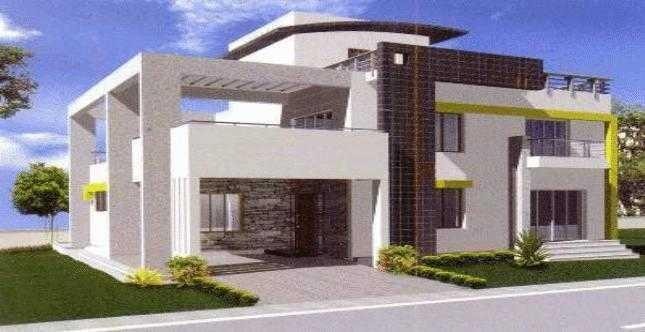 Review of Kushal Constructions, Kompally? construction quality, trustworthy, delivery history etc.? Review of Kushal Serene, Kompally location? neighbourhood, connectivity, schools etc.? Comparison of Kushal Serene, Kompally to nearby projects? Is it rightly priced? What is your feedback on this Kushal Serene, Kompally? Depends on brand name and complete the project in time etc? Will this be a better option for investment or to live in Kushal Serene, Kompally? Can you give some suggestion? Is the Kushal Serene, Kompally has more potential in terms of capital appreciation, ROI, Rentals, Proximity to social infrastructure etc?